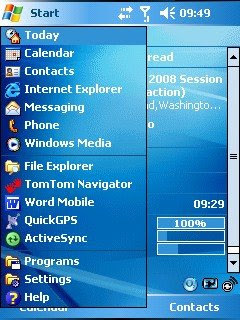 I recently wrote a blog regarding the ActiveSync_Remote_Display (ARD) tool here that comes with Windows Mobile Power Toys. Fellow MVP Peter Nowak told me about My Mobiler after reading my ARD blog post above. My Mobiler is a tool very similar to the ARD tool but better and best of all it's free. 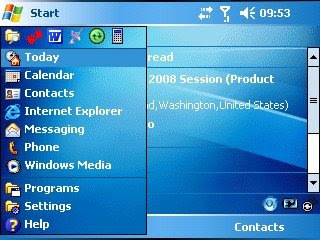 Auto reconnect to your device after being previously connected via ActiveSync without having to close the application and reload it as you have to do in ARD. Automatic deployment of the device host (remote.exe) when you run the client tool on your desktop. This used to work with ARD in pre WM5. Support for recording a video (very cool feature). Support for saving image to file or clipboard. Result of copying the screen to the clipboard (contents of clipboard). You can record video to an AVI which is quite neat for things like demoing etc. I've provided an example below of this. 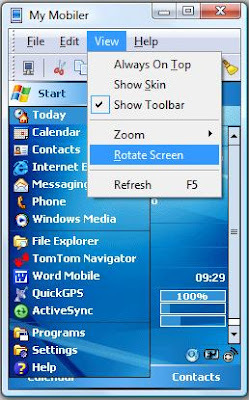 Screen in landscape mode after invoking this from the tool. 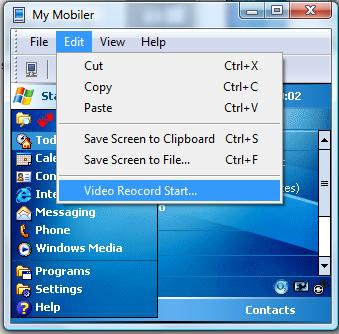 Example of a recorded video using the record feature in the tool.